The largest ever student gathering represented 92 of the world’s best design schools, from 43 countries on 6 continents. Global Grad Show is an exhibition of groundbreaking works from the world’s leading design schools, held each year as part of Dubai Design Week. Since launching in 2015, the show has grown to become the world’s largest student gathering, and for its 2017 edition presented 200 graduate projects grouped under the themes of Connect, Empower and Sustain. 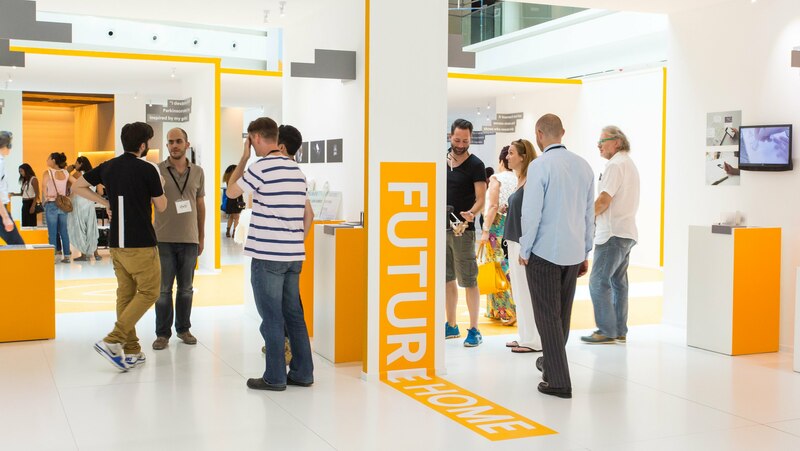 Many Arab universities are participating in this week events representing the Middle East, and GUC the 'German University in Cairo' represents Egypt within the Dubai Design Week. Dubai Design Week was conceived to shine a spotlight on Dubai as the region’s leading design city, and to provide a platform for the UAE’s thriving design community.